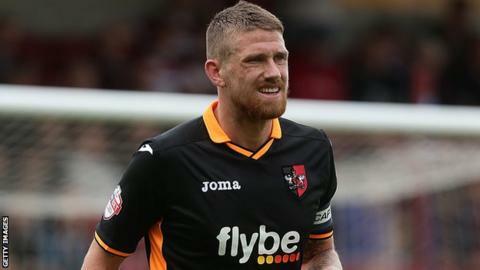 Exeter City manager Paul Tisdale has praised the versatility of captain Scot Bennett after his side's 2-1 win over League Two leaders Wycombe Wanderers. Bennett hit the winner for the Grecians after playing in attack, defence and midfield during Tuesday's victory. "I'm pleased for him because he's done so much for me by moving position," Tisdale told BBC Radio Devon. "He never made one moment of fuss or a bit of dissent. He just does what he's asked. I'm pleased he got the goal." The win was Exeter's first in four matches as they moved up to 13th place in League Two.